Lateral entry is an “alternate” route to teaching for qualified individuals outside of the public education system. Lateral entry allows qualified individuals to obtain a teaching position and begin teaching right away, while obtaining a professional educator’s license as they teach. 2.5 GPA OR 5 years of experience considered relevant by the employing LEA OR Basic Skills exam(s). When the individual completes the required coursework prescribed by the college, university or RALC and satisfies professional educator’s licensure testing requirements, he/she is recommended for professional educator’s licensure by the institution or RALC. This recommendation is sent to the NC Department of Public Instruction where it is evaluated and if the individual has met all their requirements, they are issued a Standard Professional 1 Professional Educator’s License. The individual must first qualify as a lateral entry teacher to be able to seek a position with a school system. See “NC Lateral Entry” Attachment. 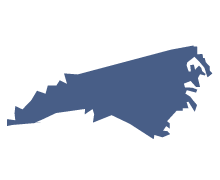 The individual is hired by a school system, which recommends the individual to the NC Department of Public Instruction for a lateral entry professional educator’s license. The individual is issued a three year lateral entry provisional professional educator’s license. The individual follows their plan of study prescribed by the college or university or the RALC. A minimum of six semester hours per year from the plan of study must be taken until the plan has been completed. All coursework and the Praxis II Testing for their licensure area must be completed within three years.